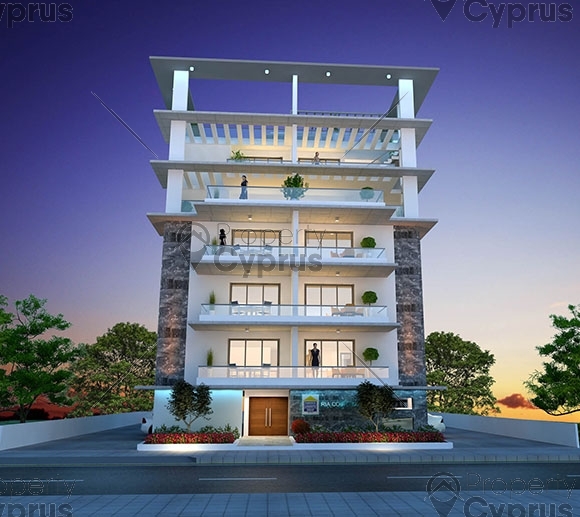 This apartment block is situated in the St. Nikolas area of Larnaca. 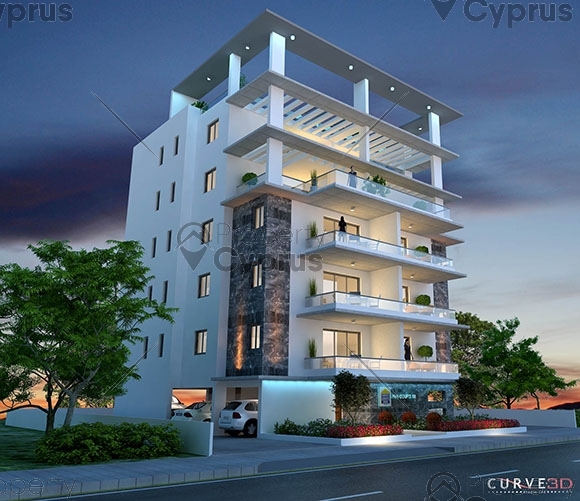 The apartments are centrally situated in downtown Larnaca town and near shops and all amenities. These apartments are only 5 minutes away from the Larnaca promenade and the main shopping centre which includes restaurants and cafes. 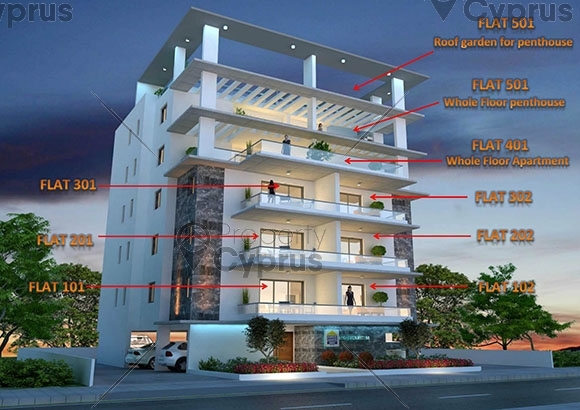 These apartments are suitable for anyone who wants to be within walking distance to the shops, banks and other amenities. 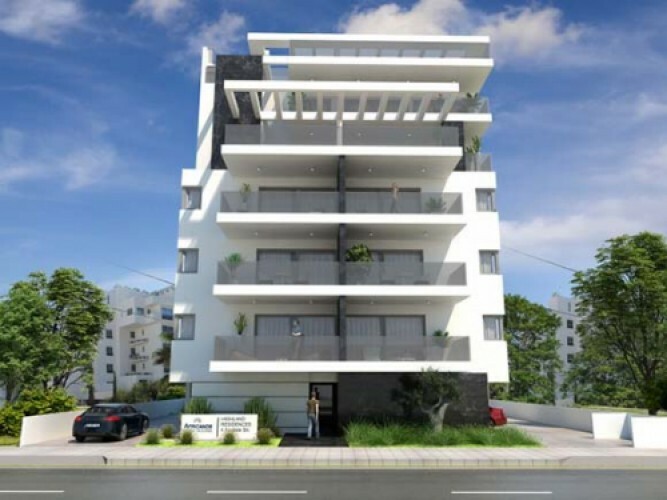 Excellent private and public schools for all age groups as well as universities and colleges for higher education are available in and around Larnaca in close proximity to the apartments. For recreation, the apartment is a short drive away from Mackenzie beach front with its International restaurants and shops and 5 minutes from the Salt Lake with all its interesting sights. If you are travelling a lot it is only a 10 minute away from Larnaca International Airport. Easy access to the highway will take you to all cities in Cyprus. The apartments are carefully designed by experienced architects and engineers to maximize the living space with a modern and luxurious layout. The contemporary design offers comfortable living areas built to high specifications. The apartments all have two bedrooms and 2 bathrooms, except for the penthouses which have 3 bedrooms with 2 bathrooms. They all have a modern kitchen and spacious living areas. Tiled throughout with double glazed aluminum sliding doors the entrance to the apartments will have fire resistant doors. Wardrobes and kitchen units are made of timber with melamine finishes and granite counter tops. Superior quality sanitary fittings and EU standard solar panels with provisions for air conditioning units are fitted throughout the apartments. One parking place and storage room is standard with each apartment. The property is under construction and is estimated to be completed by the end of 2018. The building has 6 apartments on 3 floors plus 2 larger apartments on the 4th and 5th floor, with an elevated servicing the top floors.